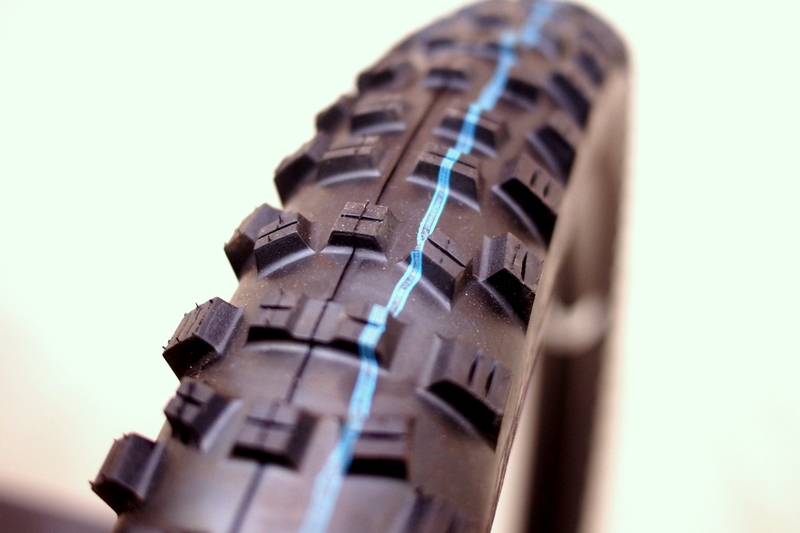 Last year, Schwalbe rebuilt the foundation of the company with the Addix compounds. These tire compounds offered improved grip and durability in a range of formulations ideal for different disciplines in mountain biking. 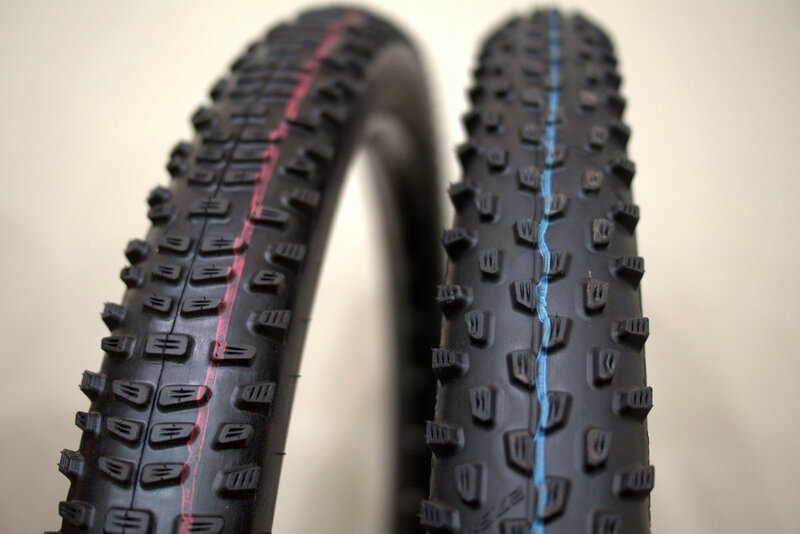 This year, Schwalbe Tires redesigned some of their most iconic tread patterns and they introduced new ones. Check out the latest from the 2019 line. Our first real E-MTB specialist for All Mountain and Enduro. It allows uncompromising riding even uphill, takes fierce acceleration as well as technical riding on the trails. Its solid appearance comes from the stable blocks, more rubber and the big widths. The concept with 29″ inch front wheel size and 27.5″ rear wheel size provides maximum performance. The balanced tread works effortlessly and generously corrects errors – full control on rough terrain as well as on flowing single tracks. Super Gravity version:ADDIX Soft (orange). Puncture-proof (with Apex) with extreme lateral stability for a dynamic ride. 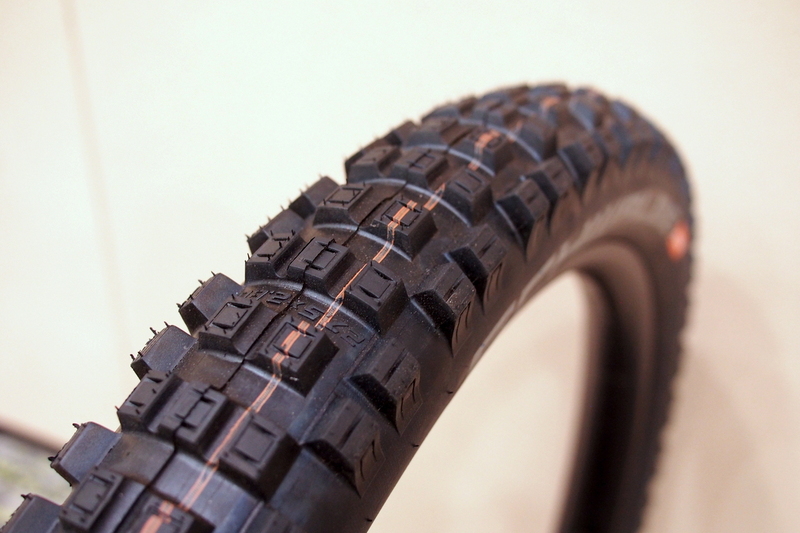 Tubeless Easy version: ADDIX Soft (orange) or ADDIX Speedgrip (blue). Versatile. The Speedgrip version gives precise traction to the rear wheel. Racing Ralph – The perfect racer. Faced with the extreme challenges of today’s XC tracks, we have completely revised Racing Ralph. The result is a very fast and versatile XC profile, specially developed for the rear wheel. Profile design:Numerous grip edges in the tread center for super traction and excellent acceleration. Good rolling properties and extremely quiet. Racing Ray – The front wheel specialist. The completely new, extra aggressive XC profile paired with the versatile Addix Speedgrip compound makes Racing Ray an XC weapon and an ingenious addition to Racing Ralph. Profile design: The shifted center blocks and stable shoulder blocks are striking. In between a sophisticated open area. This enables precise steering, reliable cornering far into the limit, sporty handling and direct feedback, together with high braking performance under all conditions.